WA: Reforms to WA Strata Legislation - As a Lot Owner, Should I Care? You are here: Home / Reforms / Reforms WA / WA: Reforms to WA Strata Legislation – As a Lot Owner, Should I Care? This article about reforms to WA strata legislation has been supplied by Andrew Chambers, Chambers Franklyn Strata Management. As a lot owner or resident in a strata titled property you may or may not realise that you are part of a small community which is governed by state legislation called the Strata Titles Act 1985. As the date suggests, the current legislation was enacted in 1985 and yes, that’s 34 years ago! A lot of changes have happened since 1985, buildings have got bigger and more complex, and there are often multi purposes to new buildings with residents sharing their buildings with commercial activities such as offices, cafes etc. Advances in technology mean that a lot of correspondence is done electronically, sustainability infrastructure such as solar panels are becoming more popular and as buildings age, the cost of maintenance is increasing with no current mandatory reserve funds. All stakeholders have been lobbying the governments over the past years to review the legislation and after a long consultative process, the Strata Titles Amendment Bill 2018 was finally passed on 1 November 2018. The exact date when the reforms to WA strata legislation will come into force has yet to be determined as the regulations are now being drafted, however it is anticipated this will occur in the 3rd quarter of 2019. Should Lot Owners Care About the Reforms to WA Strata Legislation? As a lot Owner, should you care about the WA Reforms? Absolutely! Yes, as these changes will have an impact on everyone involved in strata title properties from lot owners, tenants, Strata Managers to developers, insurers and anyone else who has an interest in strata titles. 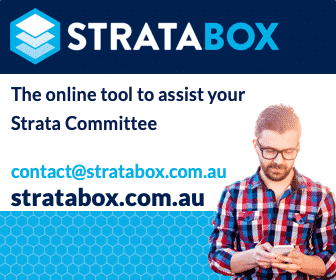 Check out the I Own Strata page on Landgate’s Strata Reform pages for more information. What is changing in the WA Reforms? The amendments bill is some 397 pages whilst the new act will be 286 pages so you can imagine there are significant changes. The new act has been printed in a much easier more user-friendly way with the consolidation of relevant sections and the modernising of the language. Over the coming months, we will look in more detail at the major changes to affect lot owners & residents. To start with, we have summarised some of the changes that will affect day to day management. Keep an eye out for more in-depth analysis in upcoming articles. Strata Managers – at present, there are no regulations or minimum educational requirements in regards to strata managers. This will change with a whole new section (Part 9) dedicated to Strata Managers. Dispute resolution – The State Administrative Tribunal’s jurisdiction will be expanded and powers increased to resolve disputes faster and more effectively. Communication – the use of electronic communication has been introduced with electronic voting for meetings and the ability to keep and send notices electronically. Reserve Funds – the introduction of compulsory reserve funds and maintenance plans. Sustainability – the approval process required to install items on common property such as solar panels has been changed to make it easier for lot owners. Council of Owners – Standards of strata councils are being raised with new provisions relating to conflict of interest and better protections for volunteer council members. Meetings – updated requirements for quorums, new proxy provisions, voting outside of meetings. Financial management – a new section specifying what the strata company must do in relation to financial reporting and budgets. As you can see after 34 years there are a lot of changes to understand and hopefully, we can help by explaining the reforms to WA strata legislation in plain English via upcoming articles. Do you have a question about the coming reforms to WA strata legislation or something to add to the article? Leave a comment below.